When you’re being considered for any form of operation, health practitioners will need to assess your overall health and well-being before agreeing to operate. This is especially true for elective surgeries and cosmetic surgery is elective – the patient has decided to undergo surgery to improve their physical appearance with a view to boosting self-esteem, but there is no pressing medical necessity. One of the elements that will be assessed in your pre-surgery health evaluation is your body mass index (BMI), as carrying too much weight can increased the amount of risk associated with your chosen procedure(s). The BBC reported recently that “there are higher rates of complications for patients with both very high and very low BMIs” so it is very important that your surgeon gives you the green light to avoid putting you in a situation that could potentially cause a health risk. Carrying excess fat can put additional strain on the body’s muscles, joints, organs and its ability to heal. To give your body the best opportunity it can to recuperate following an operation, you should aim to ensure that you’re not seriously overweight at the time you opt for surgery. 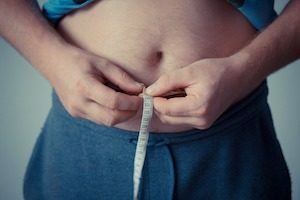 There are certain operations in particular that can be affected by weight loss if you lose weight after you have had the procedure. These include operations such as breast enhancement or reduction, weight loss procedures such as a tummy tuck and body contouring tweaks such as liposuction. NHS England concurs with this recommendation, stating “for many medical conditions, treatment is safer and more likely to work if you’ve first got to a healthier weight”. BMI is just one metric though that can be used to help ascertain if a patient is suitable or not for surgery. One of the common challenges with BMI is that it is not sophisticated enough to draw out nuances that affect the calculations, such as different body compositions, balance of muscle to fat and also cultural differences. With this in mind, it is important that surgeons are able to build a complete picture of how healthy a patient is, what their motivations are for surgery and what their overall state of mind appears like. Weight is an important factor, but it is one of many that needs to be considered as part of the overall patient assessment.